Did you know pikelets can be made from only two ingredients!? This is a healthy snack and a variety of toppings can be added. Children will be amazed that combining two ingredients can taste so delicious! 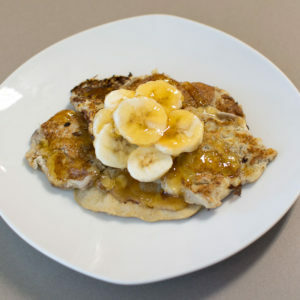 Add your favourite toppings – we added banana and honey!